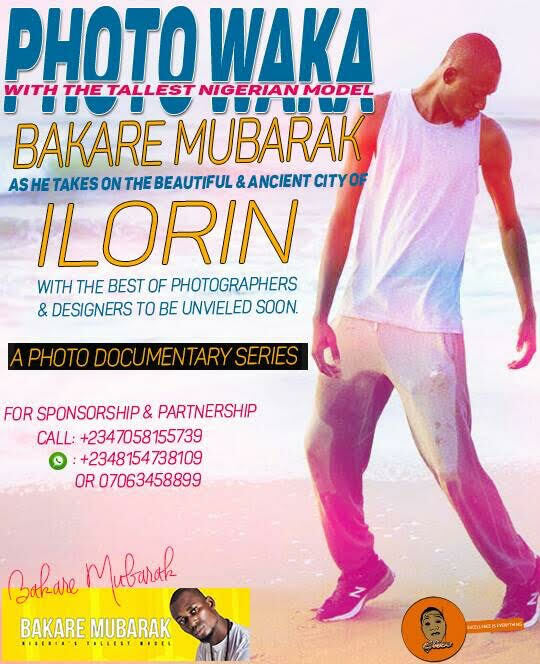 Tallest Male Model in Sub-Saharan Africa Bakare Mubarak takes on the ancient beautiful city of Ilorin in an amazing photo documentary tagged "Photo Waka" where he will be visiting ancient tourist sites, thereby bringing the amazing beauty of this city to fore. -First storey building in ilorin(also one of the most ancient buildings in Ilorin). This is the first of its kind in this country for a model to take on a photo documentary thereby marrying modeling and tourism together. 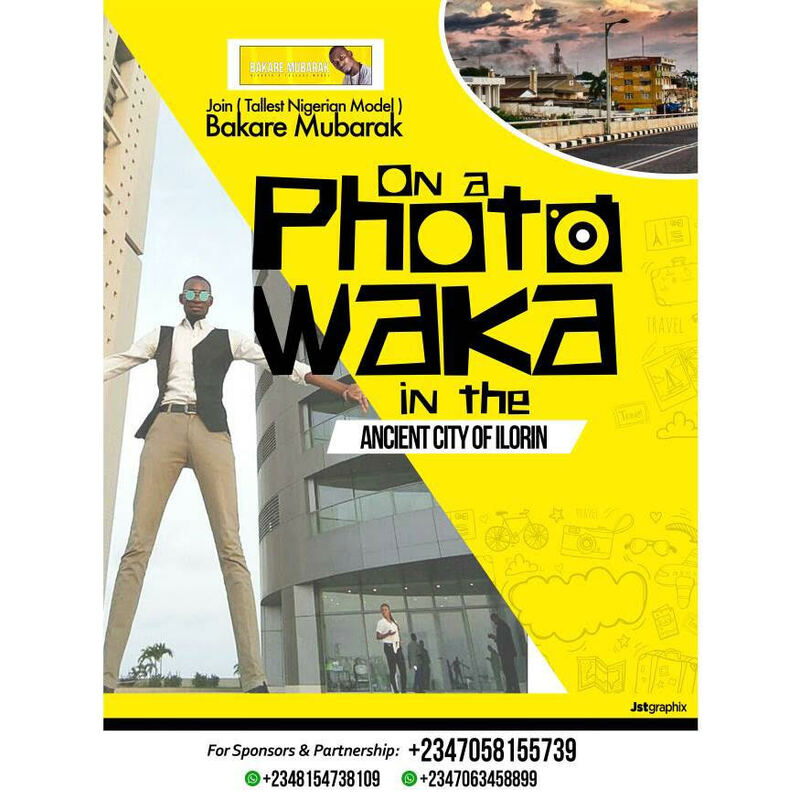 In this series Mubarak is embarking on, he plans to take Photo Waka Series to different part of the country showing the beauty of Nigeria. In his words "I've been dreaming of this a long time and finally it is coming to pass. I intend to take photo tourism to the next level in this industry and this is just the beginning of my photo waka series. When you see me on the way, please do not hesitate to stop by and holla"
» Could She Be The Tallest Model In The World? » Anything Wrong With This Photo Of Waka Flocka Flame And His Step Daughter?